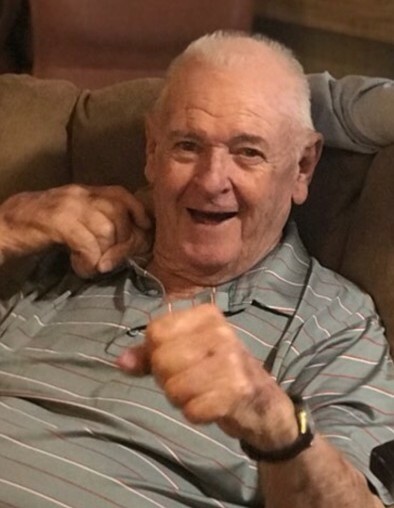 Earl Hubert Wilson II, 83, passed away Wednesday, January 30, 2019. He was born in Nesbit, Mississippi on October 19, 1935 to the late Earl and Emma “Cordie” Parks Wilson. Earl was a good Christian man and was a deacon at Sidon Baptist Church. He was a loving husband and father. He belonged to the Gideon Bible Society. Earl was a professional heavyweight boxer and opened the Searcy optimist boxing club. He was an exotic animal rancher as well as a business owner of Wilson Feed Store in Searcy for thirty years. He was a constable, lifeguard, and community sports coach. He will be missed by all who knew and loved him. Earl is survived by his wife of fifty five years; Jane Wilson, four sons; Robin Earl Wilson, Thor Earl Wilson, Kelly Earl Wilson (Mindy), and Wade Earl Wilson (Andrea), two daughters; Donna Fisher (Scott) and Jennifer Jane Naas (John), ten grandchildren; Richard Lee, Darby Riales, Thor C. Wilson, Hayley Rodgers, Cole Wilson, Ardyn Wilson, John Naas III, Natalie Wilson, Jane Naas, and Clay Wilson, five great-grandchildren; Harper Lee, Avalyn Lee, Quinlin Lee, Warren Rodgers, and Elliott Rodgers, two brothers; Weldon Wilson (Patsy) of McRae, and Larry Wilson of Kingman, Arizona, three sisters; Lana Thompson of Austin, Texas, Nancy Duvall of Destin, Florida, and Patsy Berretta (Nick) of Arlington, Tennessee. In addition to his parents he is preceded by one son; Earl Hubert “Rocky” Wilson III and one sister; Rene Lutz.